Simon & Schuster/Paula Wiseman Books, 9781481403269, 320pp. This classic tale from modern Russian literature typically gets 10 minutes in some history classes, but the story deserves a wider audience. Here, retold by Meyer, it has strong potential to intrigue middle school historical fiction fans. It is told in Anastasia’s voice starting when she is 13 years old. On the cusp of World War I, her father is the last tsar, and her family lives an opulent and epicurean lifestyle. Anastasia, her four sisters, and her parents are oblivious to warning signs that the tsar’s reign is under siege. When Anastasia starts reading her oldest sister’s diary in secret, she realizes that her world is in flux. She begins to notice the delicacies her family eats routinely that nobody else can procure. In a subplot, Anastasia has a crush on a young artist, but they are cruelly separated when her family is exiled. Anastasia’s story transports readers from a privileged lifestyle at the beginning of the 20th-century to her family being the victims of a brutal revolution. Meyer exceptionally captures Anastasia’s voice as she matures. The author strikes the right balance between detail and momentum to maintain readers’ attention. Anastasia and her siblings may be kept in ignorance about most of the tragedy and upheaval affecting Russia in the early 20th century, but that doesn't stop them from worrying about the world beyond their daily lives.The czar's family is kept in luxury, but Anastasia, Olga, Tatiana and Marie Romanova still complain occasionally about their lives, either in their secret diaries or to one another. And they do have reason for complaint. They are expected to sit for long state dinners and formal parties, and even worse, they can't decide for themselves whom they will marry. As World War I and subsequent riots begin to erode the only world they've ever known, they try to protect themselves from the growing threat. Even as the people they thought loved them disappear or join the rebellion, they still have one another. Meyer weaves historic details with precision and flair, creating a private world for Anastasia and her sisters that any teenage girl will recognize, one fraught with longing, demands for independence and romantic regret. Those readers who are already familiar with the family's final destination will be able to catch moments of foreshadowing and get the most out of the tale. A richly detailed introduction to the tragedy of the last royal family of Russia. As she has done in Cleopatra Confesses, Victoria Rebels, and other titles, Meyer imagines the life of a historical royal, this time Anastasia Romanova, the teenage daughter of Tsar Nicholas II of Russia. 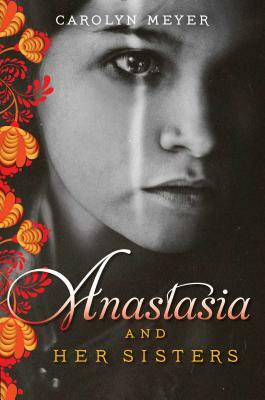 On the cusp of the revolution that will doom her family and its way of life, Anastasia chronicles the last days of their glory, as well as the years leading up to their demise. Meyer is on sure footing with this story, her prose lush with vivid detail. That same attention to historical detail can impede the story’s momentum, but the passage of years and looming war, along with Anastasia’s mischievous spying on her sister Olga’s love life and her thoughts on Father Grigory (aka Rasputin), will entice readers onward. Anastasia’s endearing narrative voice, coupled with her intimate observations of her family and their royal adventures, make her chronological account all the more bittersweet. Meyer chooses not to re-imagine the fate that eventually befalls this Russian princess, giving the novel a tragic and moving end, though an epilogue details the family’s deaths and 21st-century efforts to authenticate their remains. The prologue captures reader’s attention, entering the story at the point in time when the last tsar of Russia and his family are arrested and held captive by revolutionaries. Anastasia and her sisters have been advised to sew their jewels into their corsets and skirts in preparation for a hurried escape. Then the story turns to a happier time, when the Romanov family was the most revered in all of Russia. Each year, Anastasia’s family summered at one luxurious palace, wintered in another, cruised the bay in their yacht, entertained dignitaries, and generally lived the life of the privileged aristocracy. The novel introduces a number of historical figures including Father Grigori, better known as Rasputin, and his powerful influence over the tsarina Alexandra. Life gets more and more difficult as Russia is drawn into war, workers strike, food is scarce, and revolution threatens. Finally, Tsar Nicholas II is forced to abdicate his throne and escape never happens for the family.